A collection of stone objects, inscriptions and sculptures taken to Britain from the Parthenon in Athens by Thomas Bruce, 7th Earl of Elgin in 1801-12, are displayed at the British Museum in London. The British renamed the Parthenon sculptures ‘the Elgin Collection’ by an act of Parliament. When the director of the British Museum, Dr Hartwig Fischer, recently declared that it was the fiduciary owner of the Parthenon Marbles and that their displacement to the British Museum was a “creative act,” the reaction was swift. For many, the British Museum was displaying an arrogance still rooted in an imperialist mind-set. As the Greek culture minister retorted, Athens is the natural place for the entire collection of Parthenon sculptures and she urged the British to reconsider their stance. The problem is that there is nothing new or surprising in Fischer’s statement, apart, perhaps, from the rather insensitive reference to the creative looting of the Parthenon. While the Greeks and supporters of the cause for the return of the sculptures are entitled to be indignant, that fact is that this is the latest in a long and consistent line of statements and claims made by the British cultural establishment in defending the continued retention of the sculptures in London. And creative they have been. The British Museum simply photoshops history to claim that the sculptures looted by Elgin now tell a different and novel narrative in London in the ultimate “memory institution” and are no longer part of Athenian history. They have twice dismembered parts of the collection to display in another hall of the museum, the last being the Rodin exhibition in 2018 under the pretext that the famous French sculptor was influenced by the ancient Greeks. 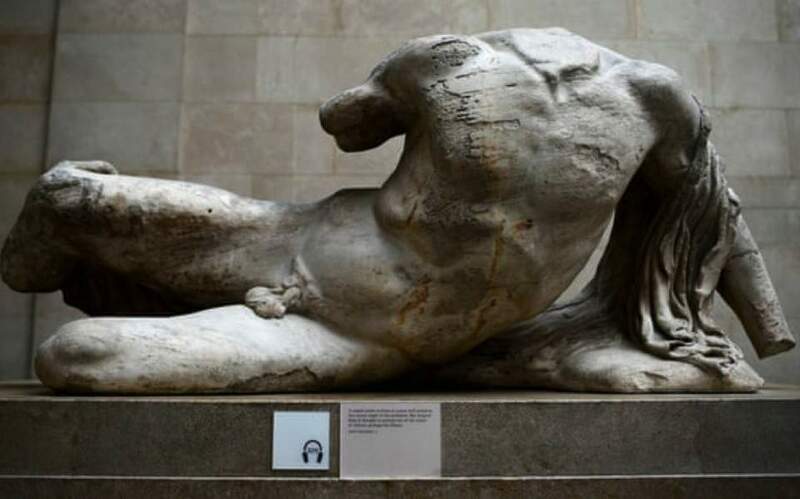 In reality, as when the British Museum in 2014 in clandestine circumstances dispatched the pedimental statue of the river god Ilissos to be briefly displayed at the Hermitage Museum in St Petersburg, it is bluntly saying to the Greeks that it can do what it likes with the Parthenon sculptures. As Fischer asserts, the Trustees of the British Museum are the legal owners of the sculptures and have no intention of returning them to Greece. At a diplomatic level, the British have been no less creative. At the UNESCO Intergovernmental Committee for Promoting the Return of Cultural Property to its Countries of Origin or its Restitution in Case of Illicit Appropriation, there have been ongoing negotiations with the British regarding the issue of the return of the Parthenon Marbles for over 30 years, without any movement whatsoever from the UK side. In November 2002 in response to a Greek proposal for a long-term reciprocal loan agreement, the chairman of the Trustees of the British Museum reiterated that the Parthenon sculptures are among a “group of key objects, indispensable to the museum’s essential, universal purpose” and concluded that the trustees could not envisage any circumstances under which there would be a loan, permanent or temporary, of the Parthenon sculptures in its collections. In 2015 the British Museum – supported by the UK government – summarily dismissed the idea of a mediation to be conducted under the auspices of UNESCO, stating that they did not believe that mediation would substantially carry forward the debate and thereby effectively reaffirming that the Parthenon sculptures will never voluntarily go back, not even on loan. Regrettably, successive Greek culture ministers have adopted a mind-set that cultural diplomacy that has failed Greece in the past will somehow prevail in the future. It is patently clear in the statements by Dr Fischer that the British Museum will not engage with Greece’s requests for return. At a political level, even if there is a change of government in Whitehall, with the Labour leader Jeremy Corbyn on record as saying that he would take steps to amend the British Museum Act to permit the deaccessioning of cultural artifacts, there is no guarantee that the trustees would return the sculptures. 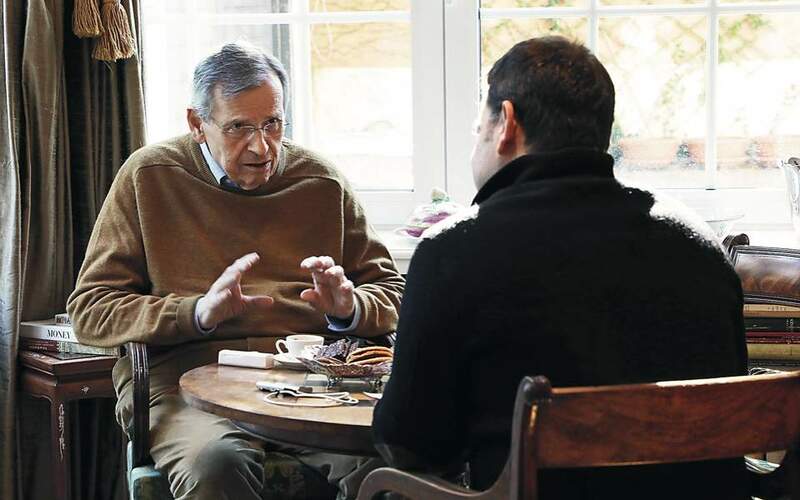 The Greek state needs to take a much more direct approach on the international stage and elevate the importance of the issue in Anglo-Hellenic bilateral relations. And finally, there is a legal option that Greece now has to seriously consider. According to the eminent jurist Geoffrey Robertson, national cultural symbols which are important to a nation’s self-identity and the keys to its ancient history are deserving of protection under international law which recognizes the sovereign right to claim unique cultural property of great historical significance taken in the past. Greece could ask UNESCO to seek an advisory opinion from the International Court of Justice. Even if it were to lose on a technicality, it does not follow that it would have lost the whole campaign as customary international law is still evolving. But if it obtains a favorable outcome, the UK government would be honor bound to comply with the court’s opinion. The campaign for the Parthenon sculptures requires a more determined and coordinated approach from the Greeks to counter the negativity and stonewalling of the British Museum. The only truly creative act in this whole drama would be the eventual reunification of the sculptures at the Acropolis Museum in Athens, in their natural place and context. George Vardas is secretary of the International Association for the Reunification of the Parthenon Sculptures.